It’s not hard to get people to give for your birthday, and we guarantee that you will be surprised and excited about those who give you the best birthday gift ever this year. The gift of clean water! Social media, is great but a well written personal email will go further than you think. We even wrote an email for you! All you need to do is customize it and hit send. Try sending to 5 people, and watch as you get closer to your goal. I hope that this email finds you well. I’m reaching out because for my upcoming birthday, I want to make a day that is usually about me and make it about serving others. 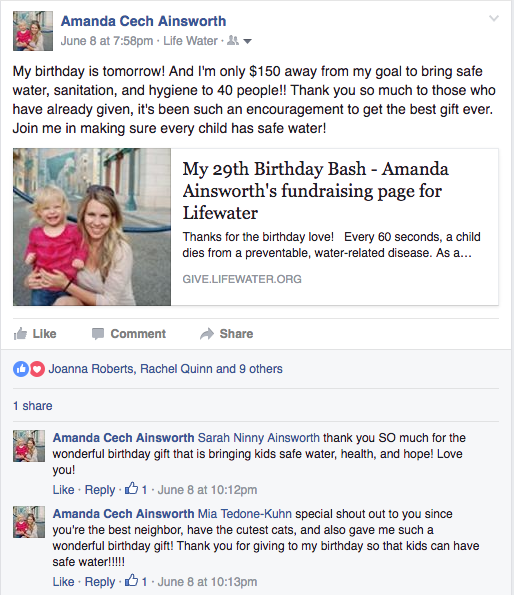 This is why I’m teaming up with Lifewater.org and donating my birthday to to provide water, health, and hope to others who need it the most. Lifewater believes that every underserved child and family should have the opportunity to drink safe water and to live free of water-borne diseases, and that anything less is a grave injustice. 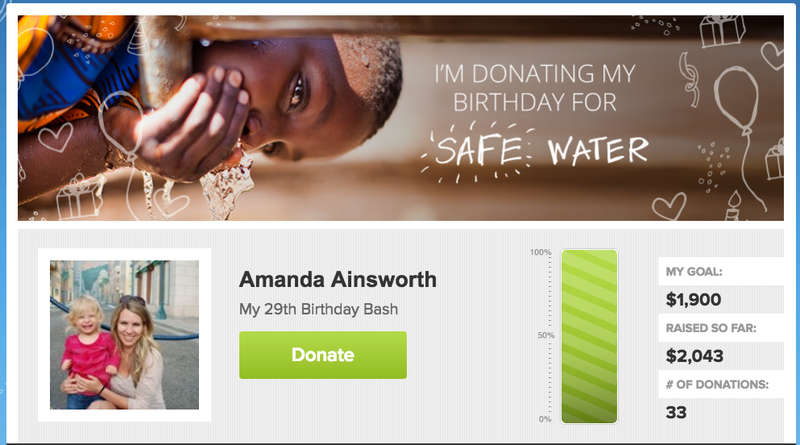 Just $40 will bring one person safe water for life! The donation process is fast, easy, and secure. I truly appreciate any support that you can provide. It will benefit a great cause! You got a donation! Congrats! Now thank your donor on your fundraising page. They will get your message in their inbox. Go the extra mile and thank them on social media as well. This will show social proof that others are giving. Keep a countdown going on social media. 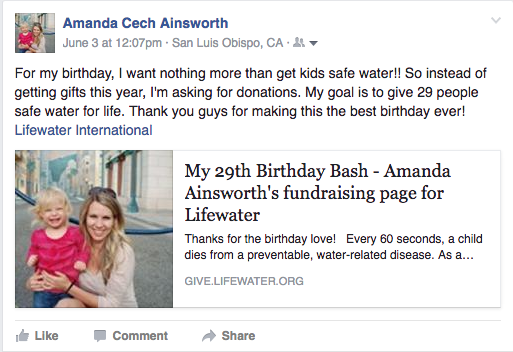 If you have already raised $200 of your $500 goal, let your friends know that you only have $300 to go by your birthday! This will help increase the urgency. 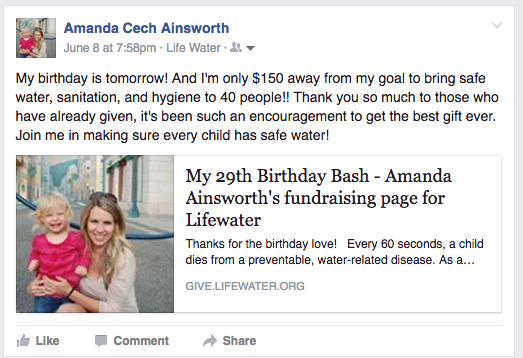 Only 3 days and $250 away from my $500 goal of serving 12 people with water for life. Please consider making a tax-deductible gift! Send a lot of emails everyday? Add this to the bottom of your signature and link to your fundraising page.